Sleek black optic styling with satin black grille and gloss black surround. Bolt-on fitment for all Q7 models. 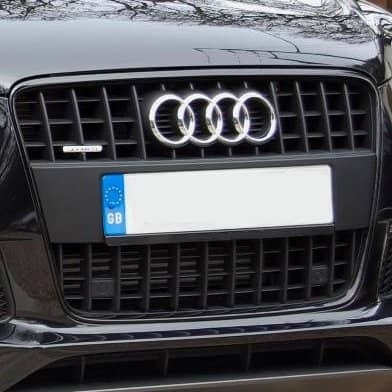 Grille requires a license plate bracket or all smooth front plate delete. See below to add which would suit your needs best. *Note that for post-facelift models with front parking assist matching matte black sensor brackets are available. These are not needed for pre-facelift models.